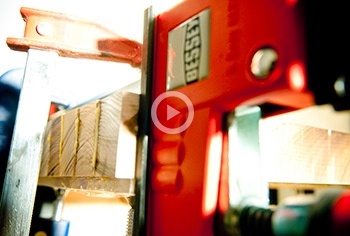 Welcome to my beginner’s guide for getting started in traditional woodworking! Traditional woodworking with hand tools is my great passion and the passion of millions of people around the world. However, it can be very confusing trying to learn traditional woodworking if you don’t have the right resources. So I’ve worked hard to create the most simple and understandable resource on traditional woodworking to help people just like you. 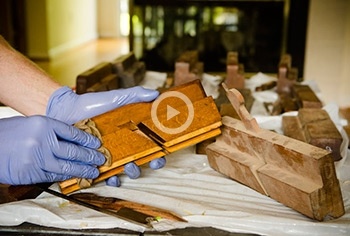 What is a Traditional Woodworker? 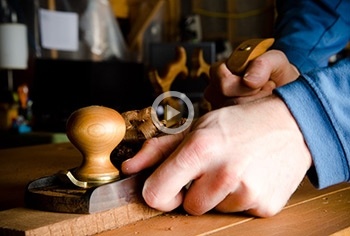 So what is the definition of a traditional woodworker? Is it someone who builds furniture only by candle light and scoffs at the use of modern power woodworking tools? To me, traditional woodworking is about using traditional joinery, finishes, and methods to create beautiful and quality furniture that will last many lifetimes. Yes, here at Wood And Shop we focus mostly on using woodworking hand tools, but in my opinion, quality traditional style furniture can also be built using woodworking power tools. I personally love using woodworking hand tools, but I incorporate a mixture of woodworking hand tools and woodworking power tools to balance personal enjoyment with productivity. But whichever balance you decide to strike between power tools and hand tools, I strongly encourage you to learn the fundamentals of hand tool woodworking so that you can better understand traditional furniture making. And you’ll also discover that some woodworking tasks are actually faster with woodworking hand tools! Below you’ll find and index with summaries that will help you navigate through each of my 10 steps pages. Enjoy! 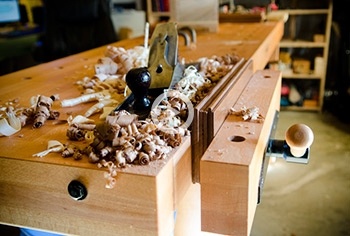 Learn which traditional woodworking hand tools you need to get started, including workbenches, hand planes, hand saws, chisels, and marking gauges. Learn how to setup a small, quiet, & clean traditional woodworking shop, even in small spaces like an apartment loft, a basement, or even in a garage or shed. Learn how to setup and sharpen your own new and used woodworking hand tools, and discover the joy of bringing quaity vintage tools back to full use. 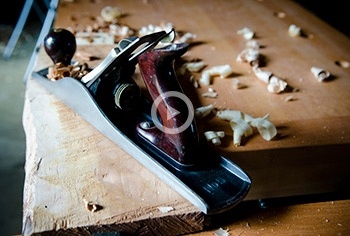 Learn how to actually use different traditional woodworking hand tools, including tools like a dovetail saw, a spoke shave, a jack plane, or a compass & square. 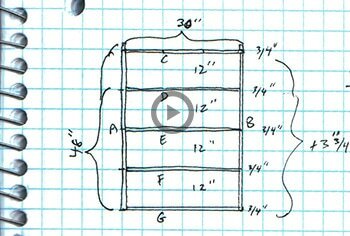 Learn how to design woodworking projects in different ways, including sketching, using traditional furniture ratios, and even free woodworking design software. Learn all about wood, including which types of wood to use for furniture, how to select stable wood from the lumber yard, and even how to get wood from logs. 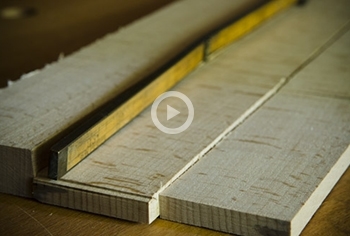 Learn how to turn rough lumber into square, flat, smooth, dimensioned boards using only traditional hand saws, hand planes, & marking and measuring tools. 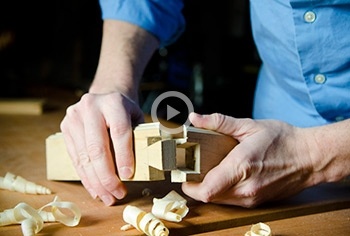 Learn how to join your freshly dimensioned pieces of wood together using traditional layout & marking methods combined with strong and beautiful wood joints. 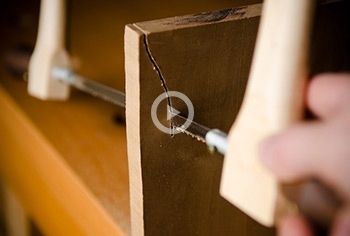 Learn how to properly assemble & fasten your joinery together using different methods including traditional animal hide glue, clamping, and traditional cut nails. 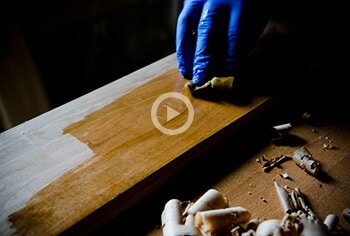 Learn how to bring out the beauty of your finished wood projects using traditional furniture finishes including shelac, linseed oils, varnishes, and waxes.